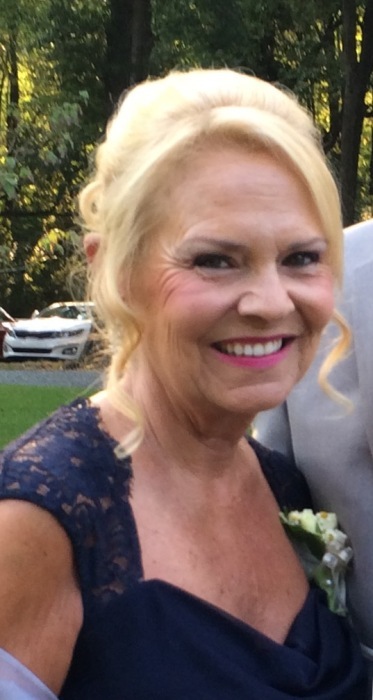 Mrs. Yvonne Tanner Stevenson, 60, of Rock Hill passed away on April 8, 2018. Vonnie is survived by her husband, Rick Stevenson, Jr.; son, Jack (Britni) Stevenson, III; daughter, Sarah Beth Stevenson; grandson, Jack Stevenson, IV; her parents, John and Carolyn Tanner; and brother, John (Tammy) Tanner, Jr.
She is preceded in death by her infant son, Joshua Douglas Stevenson. An honor graduate of the University of South Carolina, Vonnie retired from elementary education after 29 years, most of which was in York School District One. She enjoyed gardening, fishing, reading, and shopping. Vonnie cherished her family. Most recently, she was enjoying spending time with her new grandson. Funeral services will be held at 3:00p.m. Wednesday, April 11, 2018 at Gordon Memorial United Methodist Church, 502 Fifth Street, Winnsboro. Burial will follow in Oaklawn Memorial Cemetery. The family will receive friends from 5-7 p.m. Tuesday evening at Pope Funeral Home. In lieu of flowers, memorials may be sent to Gordon Memorial UMC, 507 Fifth Street Winnsboro, SC 29180 or to Adnah UMC, 1 Adnah Drive, Rock Hill, SC 29732. Pope Funeral Home is assisting the Stevenson family.